Cusco Ignition Component - Lightning Motorsports - Selling Speed since 1996 ! 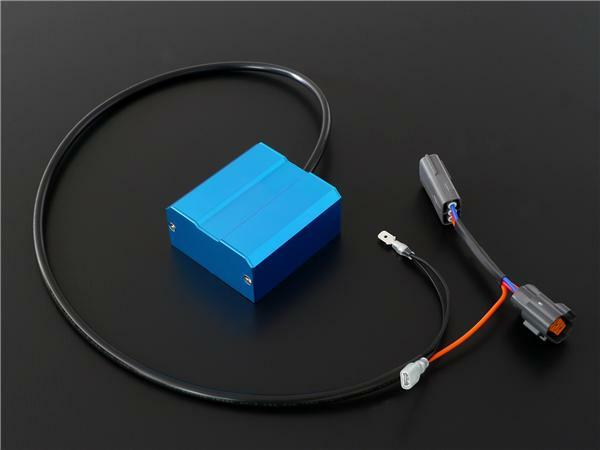 Improves engine response from low to high RPM range by supplying the ignition coil with stablized power. Reduces resistance to battery so is ideal for vehicles equipped with additional aftermarket electronic components. Maximizes eﬃciency and voltage resulting in an increased torque feel as well as full power to all electrically powered components. Newly designed internal ignition coil design which produces increased spark maintained to high RPM range. Efficiently filters all frequency noise while keeping stable ignition to the higher revolutions. Promotes more eﬃcient combustion, decreasing CO & HC ppm. Other applications (plug & play harness) available, please inquire within. Direct factory replacement, no wiring or modification required.